Being the super-geek that I am, and because of the major hint dropped at the end of Iron Man 2, I can not stop thinking about the Avengers and Thor. My love for comic books started at a very early age. 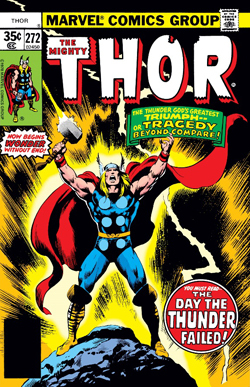 Not in 1960 when the first Thor comic hit the stands, but in 1984 when I purchased Clash of the Titans at the ripe old age of 5. I soon discovered X-Men, Wonder Woman, the Avengers, The Justice League, and well I can’t get enough of the classics or the new emerging characters. Comic Books and the characters in them show me what can be. They represent endless possibilities while also communicating the relate-able, heart warming and often tragic facets of the human condition. They talk about love, hate, family, government, fear, want, need, mercy, greed, and occasionally an unhealthy addiction to candy bars (HellBoy). We all can relate to that one! I love comic books so much I even started out my higher education career pursuing an art degree hoping to go work for an Indie studio and creating some new beloved character. I got pregnant instead, and went after a real degree. Now I’m back to my obsession, writing about superheroes and signing up for art classes. Side note–follow your passion. There is no such thing as a real job. Sorry mom. Back to comic books–you can imagine how incredibly nuts I have been going over the resurgence of comic books and the many amazing movies coming out. I’ve been watching the many attempts to translate comic books to the big screen. I felt terribly deflated after HeMan, and the X Men: Generation X pilot was so cheesy it made me cry. Even though X Men 3 totally pissed me off (along with anyone who actually read the comic books), they cannot extinguish my love for the printed comic book and I will still go and see every comic based movie they put out. Which reminds me, where is my Wonder Woman they’ve been promising me?